Need the link to our patient portal? Click here. Are you born between 1945-1965? You need to be tested for Hep C. Why? Check our patient educatoin page here . Dr. Hany Abskhroun, MD is board certified in Internal Medicine and Geritric Medicine. He is a primary care physician that treats anyone ages 18 and above. 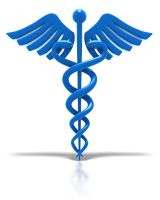 We accept most major insurances such as Medicare, Blue Cross Blue Shield, Cigna, Tricare, AARP, most Medicare Advantage insurances and many more. Please feel free to call our office to inquire about our currently accepted insurance plans. (352) 610-4408 [ext. 0] during our business hours. accomodate you as soon as possible. Saint Thomas Clinic is a practice dedicated to the long term and overall care for all of our patients. 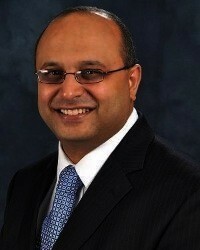 Dr Abskhroun treats anyone over the age of 18, however, the majority of his practice is focused on geriatric patients. Our practice is dedicated to improving quality of life, managing chronic conditions, and preventative care to keep patients out of the hospital. Dr Abskhroun spends time with every patient making comprehensive healthcare plans based on the needs of the individual. He is also focused on medication management, which includes; ensuring all medicatoins are necessary, and stopping uneccessary medications.